Your quest of cleaning services in Prescott ends at AZ Power Wash Pros. At, AZ Power Wash Pros we offer dedicated pressure washing and exterior cleaning services to our clients in Prescott, Arizona. With more than ten years of experience in the power washing industry we now offer professional property maintenance services to our Prescott clients. By using pressure washing, we help you clean the dirt and impurities off the concrete without causing damages to the surface or building. 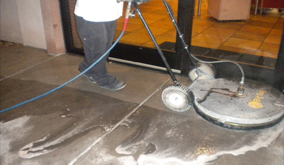 At AZ Power Wash Pros we value your expectation and deploy specialized trained employees to use proprietary cleaning equipment to clean the concrete floors or sides of your building in Prescott. We work with Eco friendly solutions. The detergents and pressure washing solutions which are mixed with water and then passed in a required pressure through the hoses, are not harmful in nature. So, do not worry about chemicals if you have kids crawling around your house while our workers are cleaning. 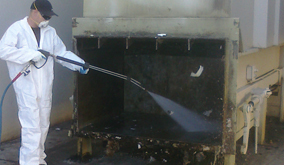 Many cleaning companies in Tuscon do not follow precautions while cleaning the impurities from the property. But we work with recycled products and help in saving energy. These products are safe and hygienic. 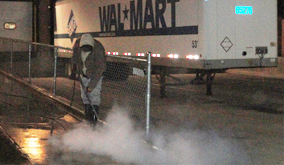 Our pressure washing company also offers property maintenance service like window cleaning, and parking lot sweeping to add to our pressure washing services portfolio. Your Prescott property needs proper care and maintenance for its long health and survival. You might be thinking that your busy schedule may not permit you to do the same. Instead of taking all the responsibilities on yourself why don’t you let the professionals handle it for you. 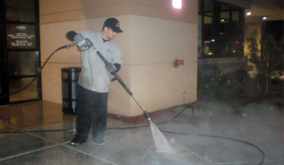 AZ Power Wash Pros provides superior exterior pressure washing, window cleaning, and parking lot sweeping services in Prescott, Arizona. 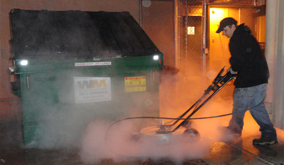 AZ Power Wash Pros is known for their quality service, excellent client engagement and environmental friendly approach. Our pressure washing service is capable to deal with any size property in Prescott, whether residential, commercial or industrial. The variety of services provided by AZ Power Wash Pros makes sure that all your exterior cleaning, washing and maintenance needs are taken care of. Their services are majorly based on residential exterior, and commercial property washing services in Prescott, Arizona. 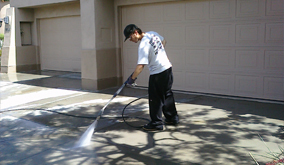 The representatives employed with AZ PowerWash Pros are professionally trained and experts in the art high pressure washing service industry. The employees understand the requirements of the clients and act accordingly. The state of the building, the requirements of the client and other various factors are taken into consideration to ensure only the best services are provided. They ensure that after the service is completed, they clean after themselves and make sure that the properties are totally debris free. Their services coupled with the various discount options made available by AZ Power Wash Pros, makes them the 1st choice for any kind of power washing services in Prescott Arizona. We offer weekly, bi-weekly, and monthly property maintenance programs to our clients in Prescott. We are Prescott, Arizona's premier concrete cleaning company! Restore your concrete today.